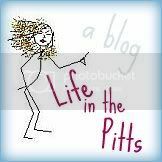 Life in the Pitts: I think I will. I was all sad, because with the holidays over, I didn't have any decorating projects to look forward to. And since I just put away all the Christmas decorations yesterday (yes, I really am that lazy), my place is looking kind of empty. 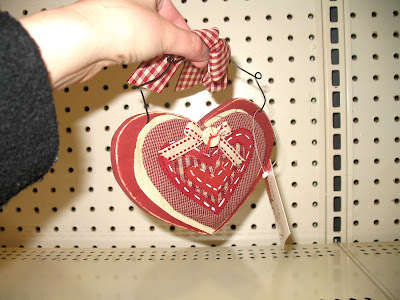 But then I went to Michaels and saw some really cute, classy, not over the top Valentines Day decor. And I thought "heck, why not?" I've never decorated for this holiday before. I've never even been tempted. The light pinks and bright reds kind of stress me out. 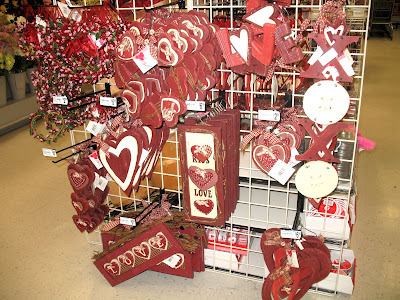 But dark reds and browns and tans- now that's another story. ...except I just noticed a bright pink thing sticking out on the right. And it's stressing me out again. Excuse me while a go download a copy of photoshop and FIX THAT MADNESS. And here I am trying to get all artsy up in there. Go camera phone! 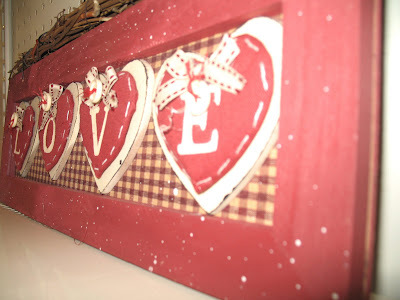 I wonder if I could make stuff like this?